Aleph IT is the leading provider of PC repair Perth. 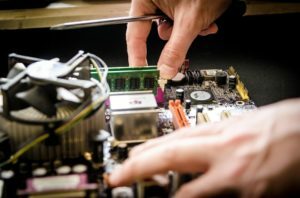 Our experienced IT technicians and engineers are at your service to fix, manage, and upgrade your business computer infrastructure and give you a reliable and smooth computer experience. We are willing to render on-site repairs to any type of business industry and home owners. Our Repair and Support Services cover desktop, laptop, Apple Mac units. We ensure to comprehensively analyse your device before initiating the repair process. Acer, Dell, HP, Lenovo, Asus, Samsung, Sony, Toshiba, MSi and more. These Apple products have different internal hardware but encounter the same common issues. It is better to consult such issues with our expert technician or engineer for safe and secure diagnoses. For more details about our PC repair Perth, why not give us a call today? We would be happy to entertain all your questions and give you free quotations! This entry was posted in Aleph IT Services and tagged pc repair, pc repair near me, pc repairs perth, repair services.